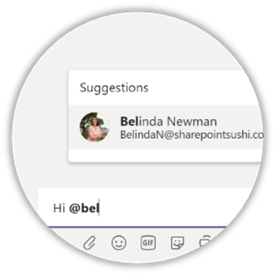 Lately I have been involved in quite a few Microsoft Teams implementation projects. Mostly to do deep dive sessions with both business and IT, to explain the fullest potential of Microsoft Team and how to reach that potential in their organisation. Usually, these sessions take place after a pilot phase or even when Teams has already organically grown to a more heavily used platform (where sometimes IT feels out of control, but that is for another time). One of the topics that almost always comes up, is the feeling of end-users that they are overwhelmed. The amount of conversations and notifications can increase rapidly, and people find it difficult to manage this for themselves. This is a logical reaction of course, because Teams is new for them, and they have not yet embedded the use of Teams in their daily work, in their daily habits. Here’s the list of items I found useful. By all means, add your own if you feel I left out some important topics (even better, let me know, so I could add them to my list). For your convenience, I have also added a Microsoft Word version of these items for download at the end of this article. 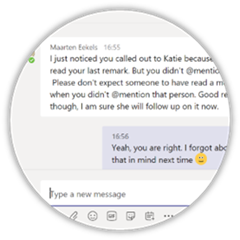 If you expect a response from someone, you should @mention that person. Only when you @mention someone, that person will be notified of your message. 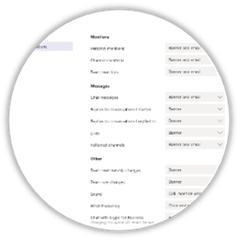 The @mentioned person will receive a notification in the Activity feed and if that person has not read the message within 90 minutes, an additional email will be sent to that person (unless that person has disabled email notifications of course, more on that topic later). 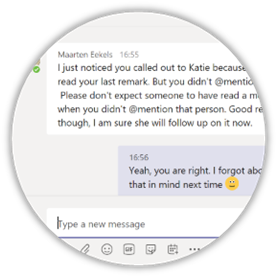 Moreover, don’t assume someone has read a conversation unless that person (or the Team/Channel) has been @mentioned. 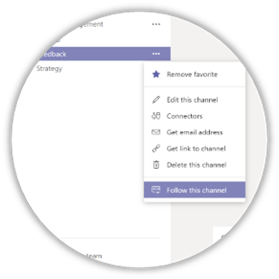 Not everyone is following all the same Channels as you do or monitoring their Teams as closely as you do. When you did not @mention a person, a Channel or an entire Team, you cannot assume that someone has actually read the conversation. They might, but you are not allowed to assume so. Personal questions are meant to be kept personal. Also, they might clutter a conversation. Other people might drop out of a conversation if it becomes a 1-on-1, which might degrade the value of that conversation. Also, it might make it harder for new joiners of a conversation to find the relevant information in that conversation. 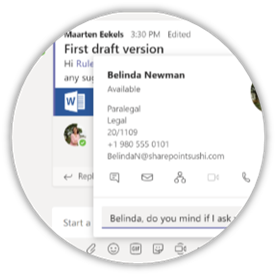 You can use Chat for 1-on-1 conversations, but also to have conversations with up to 20 people (soon to be expanded to up to 250 people). One of the very nice features of 1-on-many Chat conversations is that you can give those a title. 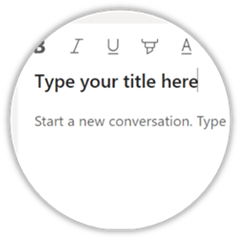 Especially very convenient if you have multiple Chat conversations about different topics with the same people. This helps you in structuring your Chat conversations. When you first see a new conversation in a Channel, it might not be obvious right away what the conversation is about. Titles really help when you are quickly scanning all the new conversations. A title gives a very good indication of the contents of the conversation and saves time in deciding if you want to join a conversation or not. 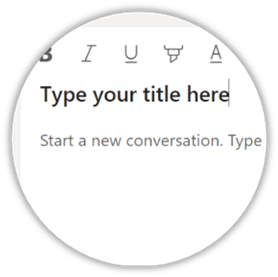 Click the Format button to open a compose box where you can add a title to a conversation. 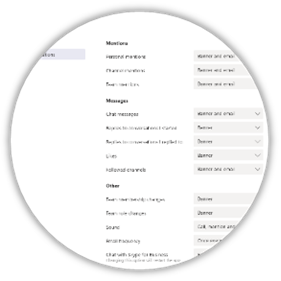 When you have joined several Teams and activity starts to increase, you might be overwhelmed with the number of toast notifications the Teams client creates and by default you will receive emails every hour (if any activity has occurred). 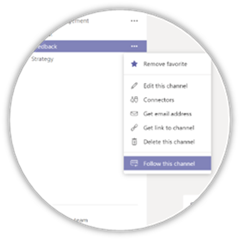 You can (and should) tune your notification settings to your liking. You can do so by clicking your profile pictures in the top right corner, then Settings, and then Notifications. description for the new Team. 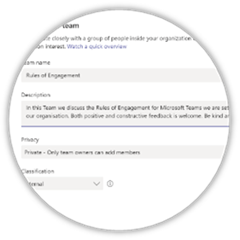 These “Rules of Engagement” are meant to help you and your co-workers in finding “the right way” to use Microsoft Teams in your organisation. A set of agreements helps in what you can expect from each other. But we are all humans (well, except for the bots in Teams). Don’t be afraid to suggest different behaviour but be kind and polite (even use Chat if you think that helps). Also, don’t be angry when different behaviour is suggested to you. We are here to help each other and offering help is usually with good intentions. 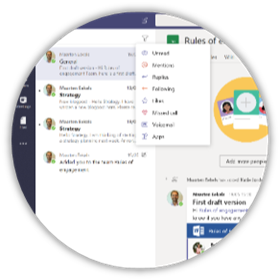 One of the reasons why Microsoft Teams is such a great product, is its mobile platform. Both for iOS and for Android, there is an excellent Teams app available. 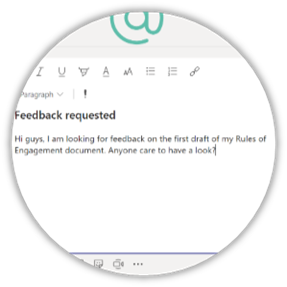 It is performant, intuitive to use, and works together well with Word, Excel, PowerPoint and OneNote. It provides a great way to keep up with your Activity stream and to participate in conversations. You can download it for free from the App Store and Google Play. More often than not, we hear that people are overwhelmed by the number of alerts and conversations taking place. This is a normal experience when you just start using Microsoft Teams. 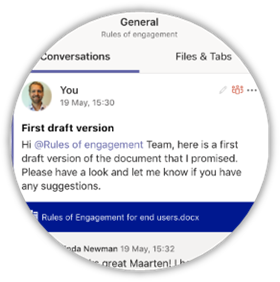 Teams provides a new way of collaborating to many, and it takes a bit of time and building a habit to optimise your use of it. Of course, all the rules mentioned above are meant to assist you in leveraging Teams to its fullest potential as well, but best of all is to embed the use of Teams in your daily work pattern. Just as you probably have already done with email. You just clicked the New Email button in Outlook. But ask yourself, do I really need to send this message out through email? 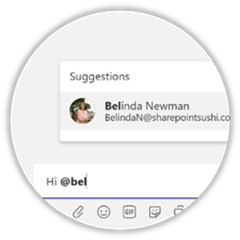 Wouldn’t a conversation on Microsoft Teams make much more sense? With a conversation in Teams, you might get insights from co-workers you would not have expected it from and you would never have gotten through email because you would have omitted them from the email conversation in the first place. Also, on Teams you might inform co-workers that you wouldn’t have informed through email. Sounds good? Use Teams! Last, but not least, I would like to thank my colleagues Mike Fortgens (@MikeFortgens) and Niek Jachimowski (@Niekoesj) for their input, much appreciated guys! And thanks Tomislav Karafilov (@TKarafilov) for the tip about Chat titles! 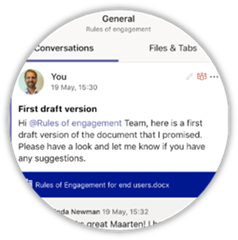 This entry was posted in Microsoft Teams on May 24, 2018 by Maarten Eekels. Would be good if Delve makes Teams surface. The suggestion to search first (on title only? Really?..) would then come natural. Yes, that would be helpful indeed! 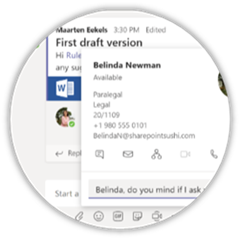 The new Microsoft Search, which was announced at Ignite couple of weeks ago, will include Teams conversations. That should already help in finding existing Teams. Great article. Very useful info. Question: when doing deep dives, do you focus on topics / channels/ work streams first OR the boundaries of who should be part of the team? What do you use, if anything, for requirements and design documentation? 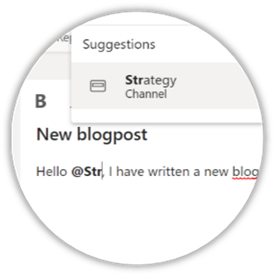 Do you do many SharePoint on-prem to Teams or SPO to Teams migrations? If so, how is your approach and documentation different vs more of a “fresh” Teams Team implementation? FYI I’m a systems engineer at Washington University in St Louis, in the US, and have been working with SharePoint in many capacities for the past 12 years. I’ve recently been assisting with our Teams adoption program. Hi Rob, this is quite a broad question, and to be honest, it depends 🙂 (the ultimate consultants answer). We typically do two workshops before we start with Teams in an organisation. One to find a good business scenario and to form a pilot group. And one to go through all settings and compliancy features. After the pilot group has started, we identify more business scenario’s and move on from there. Bringing business scenario’s to your users usually works better, gets better traction than bringing a tool to your users. 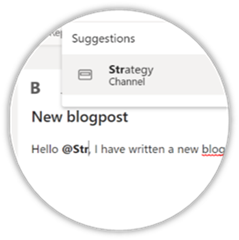 SharePoint on-prem to online migrations are typically divided into two streams: the bulk and the specials. Here as well, a staged approach usually works best, but this us typically more around already existing sites that need to be migrated. The business scenario approach does not always work. Hope this helps! 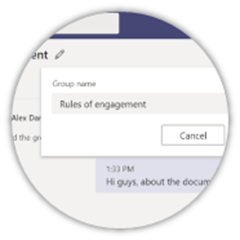 You might also want to check if there is a Teams / SharePoint / Office 365 user group in your area and join a user meeting. You might find some good value and experiences there. Thank you for this tipps. Much of it sounds so obvious, but if you read it, it makes it clear and it makes the use of teams much better. I have translated the word document to German. You can put it next to your document if you want. Do you want it? 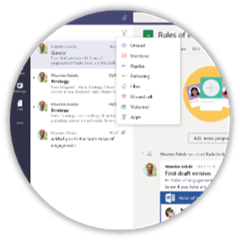 Hi Maarten, Great article and this will surely help the adoption of Microsoft Teams.